Andre Salmon was one of the premier art critics of his day and the author of two important eyewitness accounts of early twentieth century art in France, La jeune peinture francaise and La jeune sculpture francaise. These works capture the revolutionary spirit of the period and include references and jokes of a small coterie of artists and poets that included Picasso, Guillaume Apollinare, Max Jacob, Georges Braque, and Salmon himself. 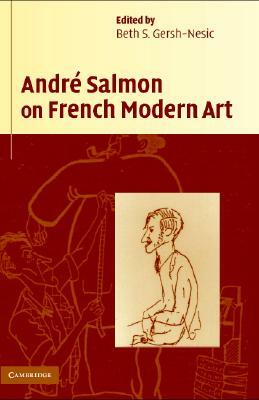 This is the first English-language translation of Salmon's first two books, which serve as the primary sources on the Fauves, the Cubists, and their avant-garde contemporaries. Gersh-Neoic's translation includes annotations that expand upon the period.